Ships today if you order in the next 13 hours 36 minutes. 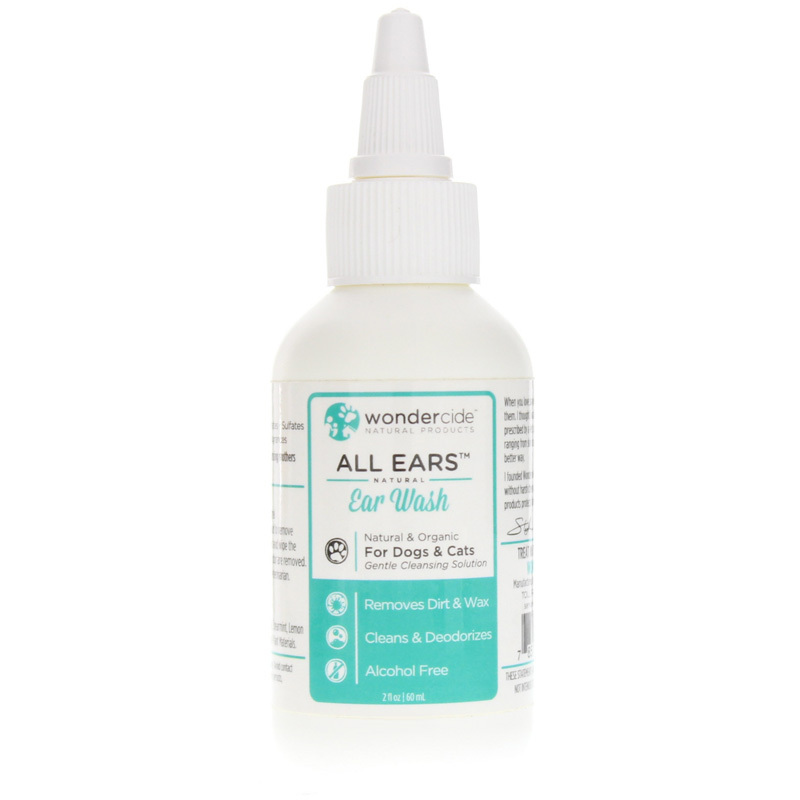 All Ears Organic Ear Wash for Dogs and Cats by Wondercide is a chemical-free, alcohol free, natural ear wash that is safe for dogs, cats, puppies and kittens. 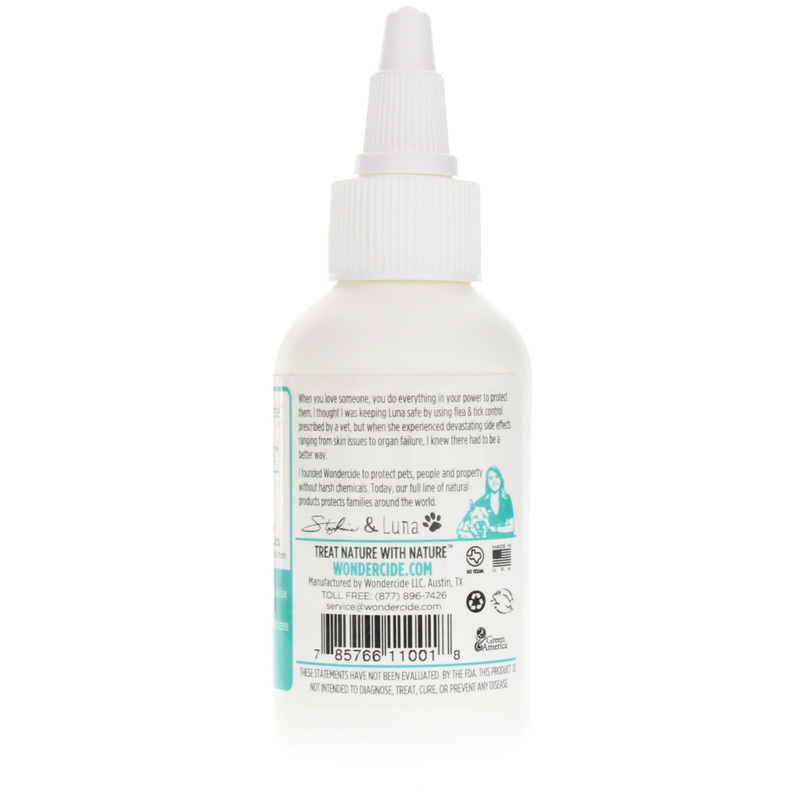 This unique ear wash is the only pet ear wash formulated by a Holistic Veterinarian that contains no chemicals, artificial preservatives, artificial colors, artificial fragrances or alcohol. It is even bottled in BPA-free plastic. Friendly enough to be used several times a day for cleaning and treating common causes of disease including bacteria, yeast, fungi, and ear mites. Safe for you, your pack and the environment. Purified Water, Organic Essential Oils of Peppermint, Spearmint, Lemon Eucalyptus and Tea Tree, Natural Emulsifier Made of Plant Materials. 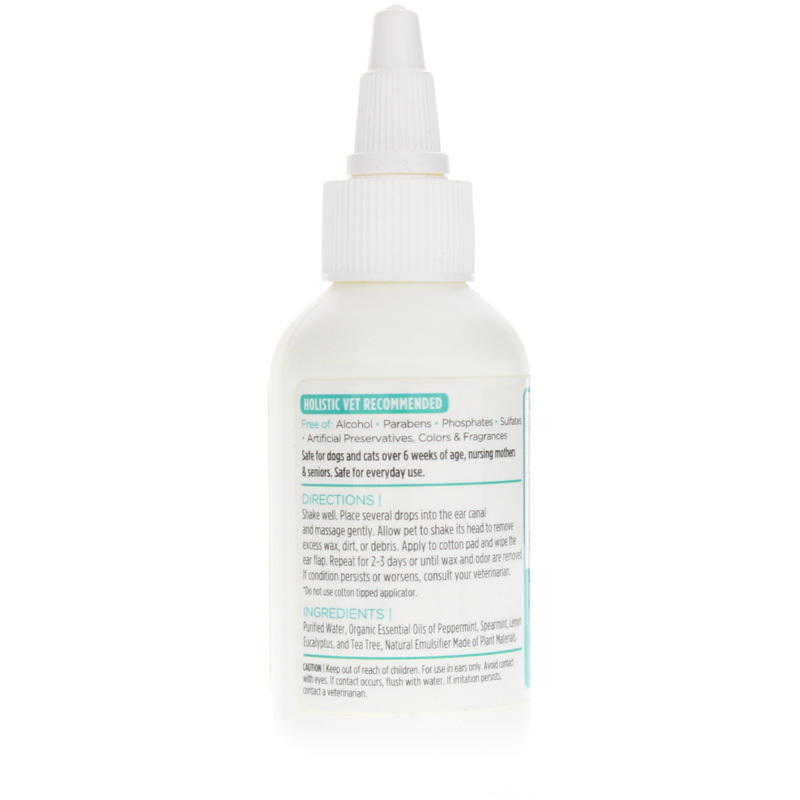 Free of: alcohol, parabens, phosphates, sulfates, artificial preservatives, colors and fragrances. Shake well. Place several drops into the ear canal and massage gently. Allow pet to shake its head to remove excess wax, dirt or debris. Apply to cotton pad and wipe the ear flap. Repeat for 2-3 days or until wax and odor are removed. If condition persists or worsens, consult your veterinarian. Do not use cotton tipped applicator. Keep out of the reach of children. For use in ears only. Avoid contact with eyes. If contact occurs, flush with water. If irritation persists, contact a veterinarian. Dr. Shawn Messonnier, DVM is an award-winning author of The Natural Health Bible for Dogs and Cats. His award winning radio show "Dr. Shawn-The Natural Vet" is on Martha Stewart Radio Sirius 112/XM 157, Tuesday night from 7-8 PM CST. Our natural ear wash was specially created for your pets by an award winning Holistic Veterinarian to promote health and healing. Great shopping experience but website is kind of slow. Needs to be fixed.